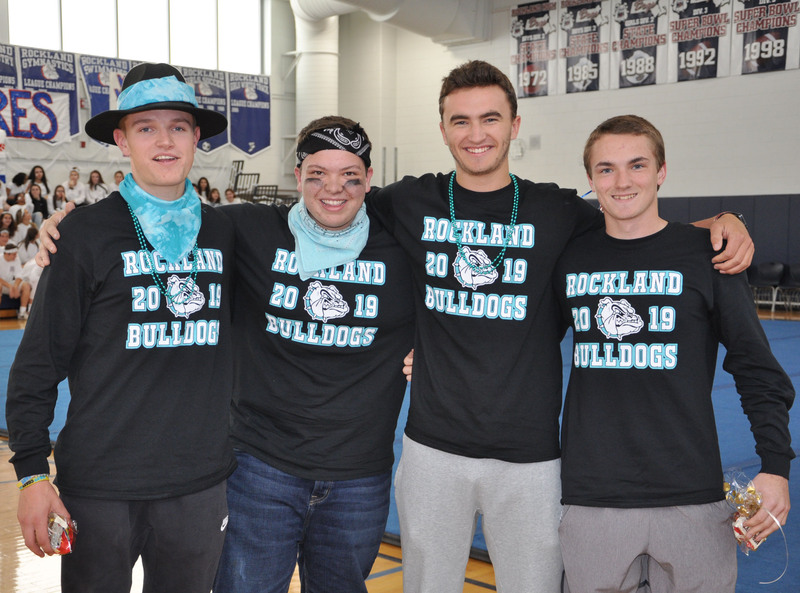 Among all of the sports at Rockland High, it’s easy for some to be overlooked. However, RHS senior Nick LaBollita can assure you our golf team is a force to be reckoned with. LaBollita has been playing golf recreationally for about five years, but joined the RHS team two years ago. It’s safe to say he is glad to be a part of the team. With captains Evan Gormley, Jake Johnson, and Peter Kohler leading the group and serving as Rockland’s top golfers, the team has 2 wins and 8 losses. The season certainly has been tough so far, but that doesn’t stop LaBollita from dreaming big. Golf is not just all tough work, however, and LaBollita has plenty of fond memories. He decided his favorite was the impromptu driving competition between Evan Gormley, Jake Johnson, and himself. “We all used my 3 wood on the 16th hole. I won with a 230 yard drive,” he noted. If you’re interested in joining, LaBollita recommends it without hesitation. “Join. 100%. It’s a fun sport that’s relatively easy to jump into. You may struggle at first, but one good shot makes up for a dozen bad ones. And when you get to be as good as me, it’s pretty fun,” he joked. Whether you’re a curious freshman or intrigued upperclassman, it never hurts to try something new. Who knows, you may be the next Tiger. On Wednesday, Oct. 24, Evan Gormley, Jake Johnson, Chase MacDonald and Peter Kohler represented Rockland High School in the South Shore All League Golf Match. Gormley was selected to the SSL All Star team.